Once an SQA centre has access to the system they can upload candidates and schedule them for subjects that they are approved to offer. These tests are secure, quality assured, pre-verified and both summative and formative. Candidates access the system using a Keycode and in most cases are provided with a instant result. There are many benefits to the system for both centres and learners. e.g. Browser based software allows access anywhere to manage test delivery. A range of secure delivery options, including offline. A 6 month schedule window for flexibility in delivery. Pre-verified questions are randomly generated from an Itembank to provide quality assured tests. Supports a variety of question types. Automatic marking and results available on completion. Formative content available 24/7 from our OpenAssess software. Availability of instant feedback to learners on result and review of completed tests. The list of test is constantly being updated and our List of Available Assessments on the Home page is an easy way to review if the subject you are looking for has current content and which delivery methods are available. Any SQA approved centre can get access to current tests for subjects that they are delivering. (Please contact us if you are an International Centre to ensure that we are able to allow access.) 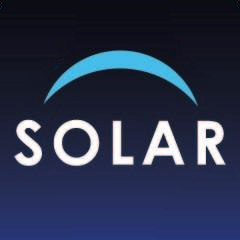 Simply check whether you already have valid users who can create your account and request new subject access, or if you are not a current SOLAR centre you can request access to the system. This can be done through our 'System/ Subject Access' section, which is located under the Centres Tab. If you have no users active you would need to review our training materials to get an account. These materials are in our Guidance Tab. Centres must follow SQA's Guide to Assessment for all deliery options. No Summative content should ever be used for practice purposes. SOLAR is not linked to the SQA registration and certfication systems so candidates have to be uploaded to the SOLAR system as well as be registered and certification details submitted to SQA. You can find out more about how to register and certificate candidates on the SQA website. Once candidates are uploaded, test are able to be scheduled to be taken within an assessment window range of up to 6 months. But we do not advise leaving test open for more than a week at a time. To see if you are able to use the SOLAR software effectively, please use the link below to see the basic system requirements.